Before we get into the 10 Largest Captive North American Heat Treaters lets have a look at the size of the overall market. It is generally accepted that the total size of the heat treating market in the US for both captive and commercial heat treaters is in the neighbourhood of $20 Billion USD per year with commercial heat treating accounting for about 10% or $2 Billion per year. This compares to a worldwide estimate of $89 Billion USD by 2020 (Source Technavio research) with an estimated breakdown of 32% aerospace, 30% automotive, 15% industrial and others 21%. We stress that all of these numbers are at best educated guesses given the fact that most studies can’t even seem to agree on what actually constitutes heat treating and at worst they are nothing more than a dart thrown against a wall. However lets take these numbers as a given and look at the total size of the North American market. If the US market is $20 Billion per year the Canadian market is approximately 6% of this value or $1.2 Billion per year (and shrinking) and the Mexican market approximately 15% or $3 Billion per year for a total of $24.2 Billion USD per year (source WG Montgomery Ltd.). Given this background and Technavio’s estimated market breakdown we can say that the largest captive heat treaters in North America will be found in the aerospace, automotive, heavy equipment or agricultural industries (before we go any further we should say that when we say heat treating this will include vacuum, atmosphere, induction and aluminum heat treating. It will also include all of a company’s locations in North America which have in house heat treating). GM, Ford and Chrysler would have generally been considered to be in this group but we do not believe this to still be the case. Granted GM has over 40 vacuum carburizing cells in their North American plants, Ford has a mammoth VC installation at their Sharonville, Ohio, Transmission plant and Chrysler’s transmission plants in Kokomo, Indiana are amongst the largest in-house heat treats under one roof in the world but by and large a large amount of the “Big Three’s” heat treating has been out sourced over the past 10 years. The heat treating was of course outsourced when their parts were outsourced, American Axle & Manufacturing, Magna, Linamar and Dana are all good examples of companies which has benefited from this outsourcing and correspondingly increased their heat treating capacity. After considering a total of some 30 suggestions, the list of 10 below are those whom we would consider to have the largest in house heat treating capacity in North America. (please note that while we give a brief indication of what type of heat treating each company does but this certainly does not mean that they are restricted to this type only). 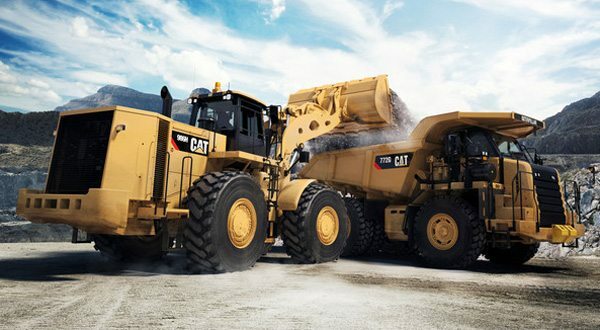 The first 9 are alphabetical with our suggestion for the largest in North America, heavy equipment manufacturer Caterpillar based in Deerfield, Illinois in the final position. Caterpillar– the worldwide manufacturer of heavy equipment is in our opinion the largest captive heat treater in North America with most types of heat treating processes being available in house.